Leaving the Elbe Island by surprise, Napoleon, well decided to expulse the bourbons from their throne landed to the “Juan Gulf” on the 1st of March 1815, wanted to go until Paris as fast as possible. The first goal of the emperor was to cross over the Alps to reach Grenoble, because he wanted to avoid the soldiers in Marseille. He went to Vallauris and then, Gap, the departure point of his journey across the Alps. 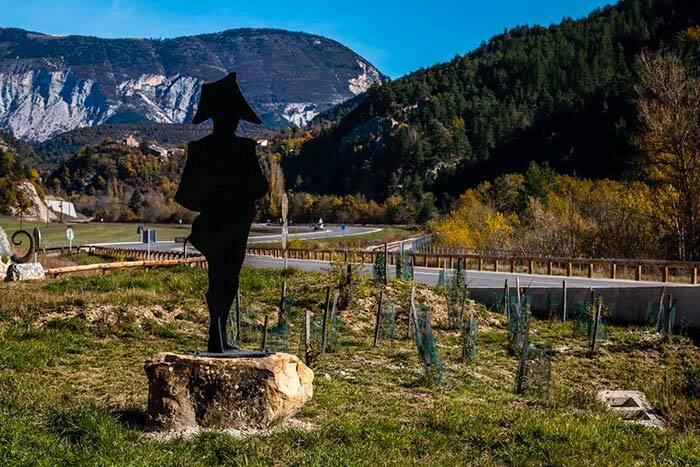 The procession of Napoleon went to Digne, Sisteron, Corps, and then, at the end of his journey, to the City of Gap. These 300 km from a difficult process was not called the Napoleon road yet. 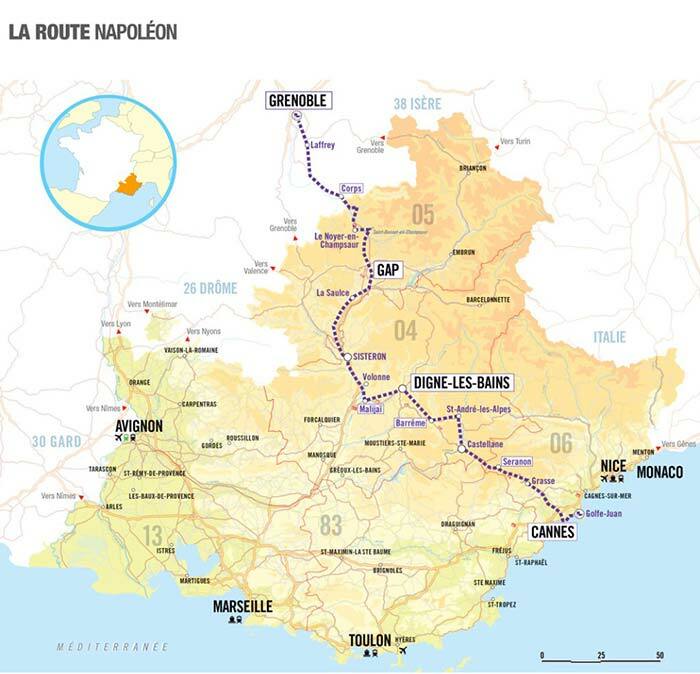 Year 1913, the initiative trades of the related municipalities were fighting to attribute the prestigious name of Napoleon to this route. The First World War delayed the inspection of the file. And finally, it’s in year 1932 that the road Napoleon 85, which takes more or less the way followed by the Emperor, is solemnly baptized “Napoleon Road”. Since that, this touristic itinerary is always taken by the tourists who want to find an accommodation on the Napoleon Road. To guide them on this journey, rich of history, an adapted marking is present. Logos and informations help the visitor to follow as close as possible the way taken by the Emperor. In some places, statues and commemorative plaques will give you more explanations. At every step of this prestigious road, you can find campsites adapted to your expectations. Our campsite “Au pré du lac” will for sure, satisfy your needs. Located in saint-Théoffrey, in front of the amazing lake of Laffrey. This municipality is first of all, a place of history about the Napoleon road. It’s here, in the meeting field, that a regiment, sent by Louis XVII got united to the emperor. On his territory, is located now, our Campsite, which will fit to your expectations. Based in a preserved nature, between the forest and the mountains, this campsite « Au pré du Lac » offers you a magnificent view on the “Alpe du Grand Serre “. It proposes you, varied sporty and healthy activities. From hiking to biking, but also water sports and scuba diving. For the ones who like fishing, they will enjoy the lake with their different kinds of fish. In this campsite, you have a direct access to the beach. The horseriders can practice their favourite sport, near the camp. Large spots for the tents and camper-vans are at your disposal. Plus, if you prefer to spend holidays in another way, you can also book an accommodation in mobil-home or in cottage. The campsite and the restaurant with disabled access can be accessed by people in wheelchairs. The restaurant proposes varied menus and a high quality bar service.